The program can write CD-R, CD-RW DVD+R/RW DVD-R/RW discs. Audio Editor, bin/nrg->ISO converter, simple cover printing and much more! Posted by Cush on Thu, 10/29/2009 - 11:48. 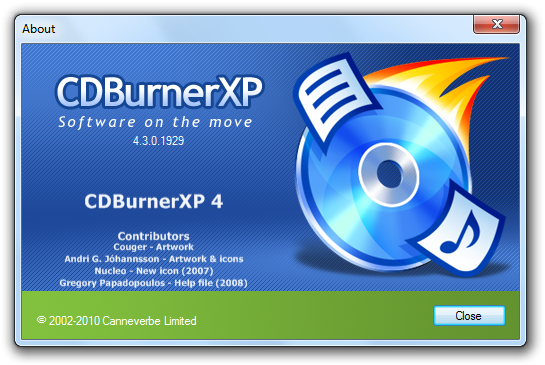 CD Burner XP Pro v 4.2.5.1541, question although Vista is not listed as a compatible OS this Burner was released in 2009 a few years after the pathetic attempt by Microsoft to move forward. My question is whether or not CD Burner XP Pro and Vista are compatible with one another. Posted by Stacey on Thu, 10/29/2009 - 23:50. The listing has been updated and the latest version is compatible with Windows Vista.